In its ninety-nine years in the British High Street, F.W. Woolworth sold hundreds of thousands of different products. But none ever hit the spot quite like its Mighty Midgets. The story behind the simple books shows the chain at its very best, using its market knowledge and buying power to tackle a pressing need, holding the price down when it could have taken more, and winning the hearts of the nation as it faced its darkest hour. Great Britain was standing alone against Hitler's Germany, and was facing a firestorm of bombardment from the skies. The Government feared that public morale might collapse under such a strain, and called for help. 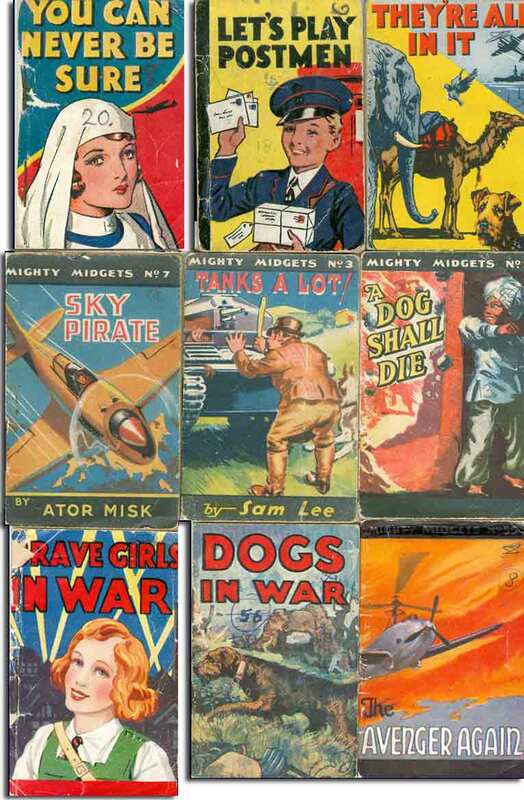 The Company responded with the innovative range of miniature story books, with tales of daring-do, courage and fighting spirit. Its Chairman, who had been asked to head Aircraft Production for the RAF, persuaded Lord Beaverbrook, who was his boss, to provide the paper, and ordered that the price should be held to threepence and stock should be targeted to the areas facing the worst enemy action. Many boys and girls found great comfort from the books as they spent scary nights in air raid shelters, diverted from the terror overhead as they became absorbed in the well-written stories. As adults they never forgot. Many became loyal customers of the High Street stores for the rest of their lives. In 1939 British Prime Minister Neville Chamberlain's policy of appeasing Hitler's Germany collapsed when he invaded Poland. Soon the world went to war and Luftwaffe's planes began to bomb London and other major cities across the UK. Many families were forced to leave their beds for the safety of air raid shelters, either in their gardens or with other families in a communal facility like an Underground station. This was very scary for children. 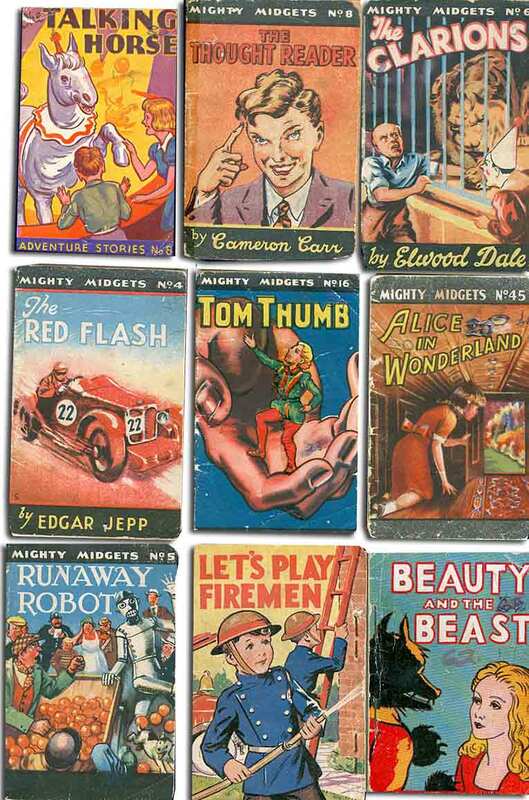 Many parents did what they could to make the whole experience into an adventure, with a little help from Woolworth's and tiny little Mighty Midget books. In the new role he gained a new insight into the state of the nation. He also built a new network of contacts at the heart of Government. While he found Beaverbrook quite difficult to get on with, the two worked well together. The Spitfires were treated like sixpenny best-sellers. The supply chain for each component was streamlined to keep the factories fully stocked at all times. The assembly lines were reconfigured so that they could run faster. In parallel a time and motion study improved workers' shift and break patterns, boosting the throughput that could be achieved. Production soared. Beaverbrook grudgingly admitted that the Woolworth men had exceeded his expectations. The warming of relations afforded the opportunity for Stephenson to brooch a proposal from Louis Denempont, his man at the helm in the High Street. The stores had found suppliers for a new range of morale boosting products, in response to the challenge laid down by the Government. 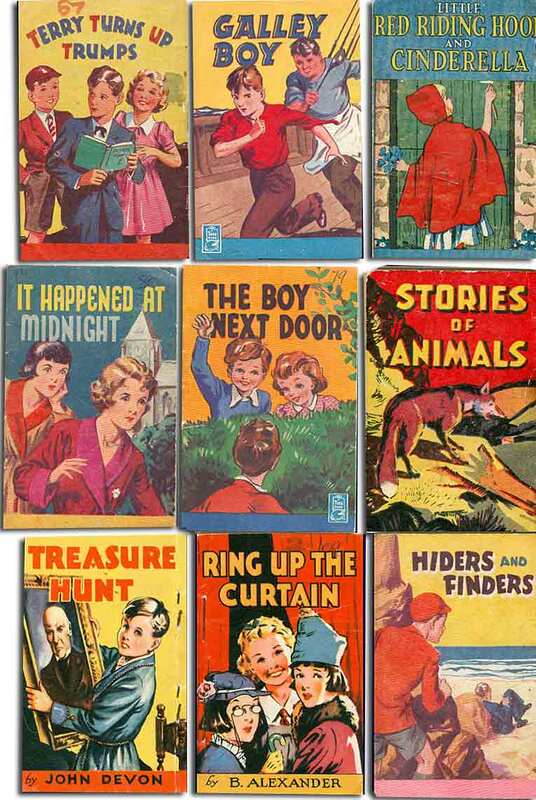 This included both Jigsaw Puzzles from Lumar of Dudley, and an innovative range of small pamphlet-style booklets, mixing ingredients from comics and short stories. To get the scheme off the ground the suppliers would require access to a steady supply of paper and card. After seeking an assurance that Woolworth would not be seeking to profit from the emergency, Beaverbrook offered everything required from his newpaper business. He also facilitated talks with the Food Ministry, at which it was agreed that food in Customer Restaurants and works canteens would remain unrationed, subject to the proviso that a meal could only include either meat or fish. He also assisted in securing new freezers for stores in the Cities facing the worst bombardment. This helped Woolworth to honour a promise to target its limited stocks of ice-cream to the places that deserved it most. This rare treat was also kept unrationed. The 32-page books measured just 3¾ inches by 2½ inches (10 x 7cm) and were sold at the artificially low price of threepence. The cover price was subsidised by a full page advertisement on the back. Some of the books contained traditional stories liked Cinderella , while others were specially written with patriotic titles like Munich for Tonight and I captured a U-Boat. They were printed in the East End of London by W Barton (Publishers) Ltd., of Central Street, EC1. There were titles for both boys and girls. The scripts aimed to be uplifting, with positive endings and brave children playing an important part in many of the stories. The goal was to distract the reader from the drone of aircraft overhead. The small books fitted neatly into pockets so that they could be kept to hand in case the sirens sounded in the dead of night. The good design, topical subject-matter and ultra-modern typography of these booklets has made them highly collectable today. Despite the vast production run, the best examples can fetch up to £20 each at auction today, 1,600 times the original price of threepence. Some would say that they proved themselves to be priceless over seventy-five years ago, as the very embodiment of all that was good about F.W. Woolworth.